Administrator of estate sued decedent’s attorney for negligence and breach of fiduciary duty. The decedent’s estate totaled nearly $40 million and estate and inheritance taxes were about $22 million. Court held that the administrator’s cause of action accrued when the taxes were due after the client’s death, and, thus, that cause of action couldn’t survive the client’s death. The case was dismissed because it didn’t qualify as a survival action under Kansas law. Plaintiff filed suit alleging defendant lawyer prepared buy-sell agreements for plaintiff and plaintiff’s business partner’s various business entities. Under Mississippi law, a legal malpractice claim must be brought within three years after the claim accrued; and claims accrue on the date the client learns or, through the exercise of reasonable diligence, should learn of his lawyer’s negligence. Here, the alleged malpractice stems from defendant lawyer’s preparation of a buy-sell agreement in March 2005. Appeals court agreed with trial court that plaintiff knew or should have known of the alleged malpractice in March 2005 when he signed the agreement; and thus the complaint was barred by the three-year statute of limitations. Appellate court affirmed trial court’s order denying defendant lawyer’s anti-SLAPP motion to strike. Defendant lawyer had been hired by the band “Linkin Park” to review royalty agreements negotiated by plaintiff lawyer. Plaintiff lawyer sued defendant lawyer for defamation, trade libel and intentional interference with contractual relations based on statements made by defendant lawyer in an audit report critical of plaintiff lawyer’s conduct. Defendant lawyer filed a motion to strike under California’s anti-SLAPP law which provides, in part, that statements made in anticipation of litigation are protected speech. Here, defendant lawyer claimed that his report was a statement in anticipation of litigation because he was asked to prepare it by a legal malpractice attorney retained by the band. But defendant lawyer ultimately failed to meet his burden that the statements were made in anticipation of litigation because the evidence showed that the band didn’t have plans to sue plaintiff lawyer. Insurer filed suit against insured lawyer and law firm seeking a declaration of no duty to defend. Trial court found no duty to defend lawyer but found a duty to defend the law firm. On appeal, insurer claims it has no duty to defend the law firm because of its “business enterprise” exclusion which provides that there’s no coverage for any claim arising out of “the alleged acts or omissions of any insured * * * for a business enterprise * * * in which any insured has a controlling interest.” Appellate court noted that the underlying complaint against the lawyer and the law firm for civil conspiracy involved allegations of the lawyer’s acts for a business enterprise in which the lawyer had a controlling interest. Appellate court found no duty to defend the law firm because the exclusion above precluded coverage for the law firm because the exclusion applied to all insureds based on the conduct of “any” one insured. California’s one-year statute of limitations barred plaintiffs’ legal malpractice claim. Plaintiffs discovered in 2007 that defendants didn’t include a significant provision in purchase option documents, but didn’t file suit until 2010. Court stated under California law (§ 340.6) “the limitations period is one year from actual or imputed discovery, or four years (whichever is sooner), unless tolling applies” and that the trigger for the one year limit is the client’s “discovery of ‘the facts constituting the wrongful act or omission,’ not by his discovery that such facts constitute professional negligence…” Plaintiffs discovered the facts constituting purported negligence in 2007 – three years before filing suit. Judicial estoppel didn’t preclude defendant law firm from making an argument that contradicts statements made during the firm’s representation of plaintiff in patent infringement suit. Law firm took position in malpractice suit that patents weren’t infringed. But one of the firm’s attorneys had earlier stated in an affidavit that “some of the claims are unquestionably infringed.” Court noted it would be improper to apply judicial estoppel to a non-party, like the attorney who made the initial statement. Even so, the court stated that it would be improper to apply judicial estoppel to statements “made in its prior capacity as the now-opposing party’s lawyer or representative.” Doing so could potentially limit the “full and vigorous representation” of legal clients because lawyers would have to choose between the client’s interest and preventing a future malpractice suit. 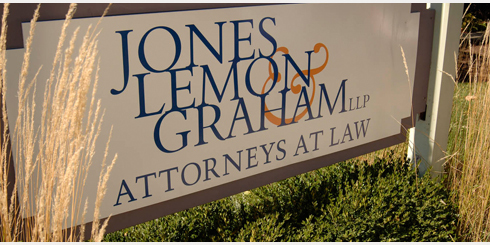 Trust beneficiary sued law firm and lawyers for legal malpractice and breach of fiduciary duty. Defendants allegedly represented both the plaintiff beneficiary and the trustee; and caused the Trust to purchase stock and make loans for the benefits of others. Defendants unsuccessfully argued plaintiff didn’t allege an attorney-client relationship. While there was no express representation of plaintiff by defendants, plaintiff alleged an implied-in-fact contract through allegations regarding plaintiff’s interactions with defendants over the years, including numerous examples where defendants advised plaintiff on legal matters. Defendants also unsuccessfully argued the fiduciary duty count was duplicative of the legal malpractice count but the court allowed the fiduciary duty count to proceed because it was based on different conduct than alleged in the legal malpractice count.